Coral reefs are under threat worldwide, including in the Red Sea. 1997 and 2008 were declared the first and second International Year of the Reef, respectively, in response to the increasing threats on coral reefs and associated ecosystems, such as mangroves and sea grasses around the world. 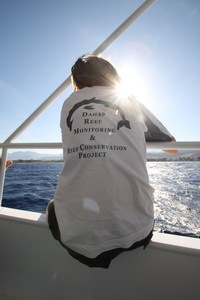 The IYOR is a global effort to increase awareness and understanding on the values and threats to coral reefs, and to support related conservation, research and management efforts. We can help make a difference by learning more about tropical coral reefs and collecting valuable data to assess the state of coral reefs in the area. 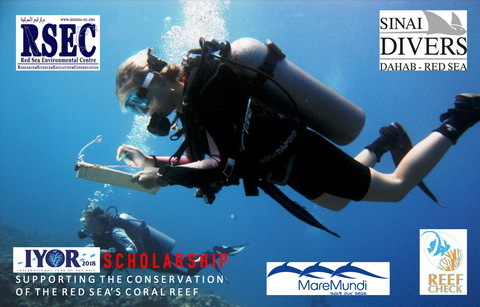 The successful applicant will get a full training in scientific survey methods, indicator species for coral reef health and gain knowledge about coral reefs and associated habitats. You will receive a certificate of participation. Please enquire whether your participation is eligible for credit by your university.